The Hawkeye System offers simple-to-use trading software designed to help you achieve consistent success – something few traders ever achieve. With colorful visuals that are easy to understand, Hawkeye software contains exclusive, non-correlated indicators based on Volume – the only unlagged indicator and the foundation stone of Hawkeye Traders. Discover the power of Hawkeye…and make your money work for you! Contains every Hawkeye Indicator equipping you with the ultimate tools to trade Forex, stocks, futures, indexes and commodities. Available for TradeStation and NinjaTrader platforms only. Designed for trading Forex only. Includes all Hawkeye Indicators equipping you with the ultimate tools to become a successful Forex trader. Available for TradeStation and NinjaTrader platforms only. Contains all Hawkeye Indicators equipping you with the ultimate tools to become a successful trader for futures, commodity and equities. Does not include tools for Forex. Available for TradeStation and NinjaTrader platforms only. Contains all Hawkeye Indicators that work exclusively in the MetaTrader 4 platform. 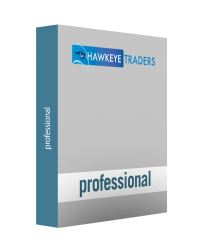 Hawkeye Individual Modules are smaller sets of tools formulated to supplement your existing trading system.Modules are available for TradeStation and NinjaTrader platforms, unless otherwise specified. Showing you a true sense of the market trend and momentum — which can be the difference in a profitable trade and one that gets you stopped out with a loss. Two indicators that allow you to take profits based on either average true range (ATR) or specific user-defined profit targets. Designed to enable you to see Hawkeye Indicators in TradeStation RadarScreen or NinjaTrader Market Analyzer. To purchase RadarScreen / MarketAnalyzer, customers must own the Hawkeye Volume and Trend Modulars. The ability to display current Volume and Trend of selected secondary time frames, all in one indicator. The first of its kind in the world. Many have attempted to emulate the Fatman, but no one has perfected it like Hawkeye. The ultimate indicator that shows you which currency pair to trade. The pip eater! Hawkeye Indicators formulated for MetaTrader 4 to help you trade with confidence. Designed to show you the correct tick speed to trade each market daily. Once the four time frames have been generated by GearBox, GearChanger shows you which tick speed to trade at any specific point during the day. Designed specifically to show you the correct tick speed to trade the Forex market. Once the four time frames have been generated by GearBox, GearChanger shows you which tick speed to trade at any specific point during the day. Designed for traders who prefer to own both Gear and Gear FX Modules, offered at a substantial discount. The Hawkeye System can now be augmented by integration with real-time Supply and Demand zones. APA Zones: An exclusive Module which expands the functionality of the Hawkeye method. APA Zones (Advanced Price Action Zones) draws future predicting, accurate support and resistance zones on your charts in real-time. With APA Zones, the supply and demand zones are vividly displayed in real-time, revealing why the low or high is where it is. Actually see where true wholesale prices are, and where true retail prices are in the markets you trade.